Think fast: How do you sell a home quickly AND get top dollar? Answer: present it at its best! 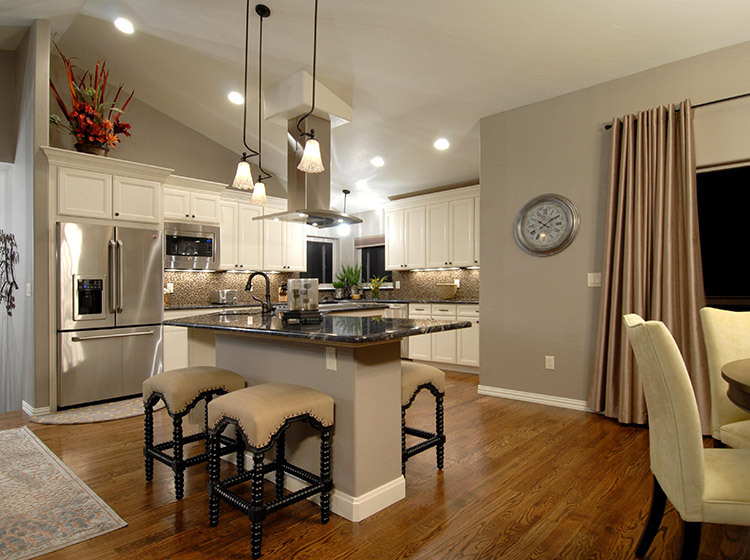 People generally list their home as fast as possible when deciding to build a new one. Sometimes they’ll hire a real estate agent… the listing begins… the world goes silent… no calls… no showings. Feelings of discouragement or even fear can creep in. What went wrong? Who am I and why should you care what I think? I’ve been an award winning architectural photographer for over 15 years and I’ve seen enough to know what sells a home and what doesn’t. Below are a few tricks of the trade that will help you sell your home quickly AND get the best price by using staging techniques and photography. I hope you find them helpful. 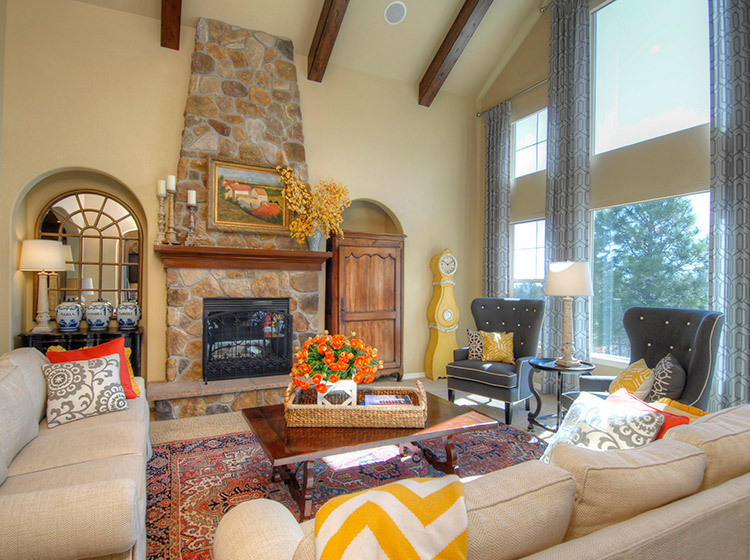 Your home must be clean and orderly for it to show well and photograph well. I know this sounds obvious, but it’s the single biggest mistake I see when people are trying to sell their home. Most people think they’ve cleaned up their home enough to sell it, but in reality, they’ve become blind to many things that are a real turn-off to others You need someone with a pair of trained eyes that can walk through your house without bias or emotion and say “that artwork is hideous, take it down,” or “get rid of this old table,” and things like that. A “Thinking Realtor” can do this for you. Your Realtor might also have you get a storage unit so you can store everything you want to hang on to but shouldn’t have in the house for showings. Remember: when your house sells, you’re going to be moving it all anyway, so you might as well pack some of it now. 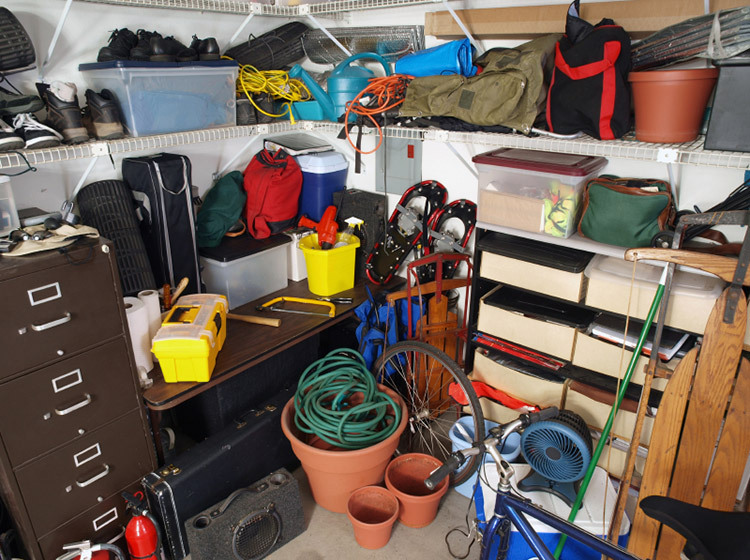 Your stuff might be important to you, but clutter turns buyers off! The rules are the same on the outside of the home as they are for inside: de-clutter! Roll up your garden hose or put it away. Remove all unsightly objects: ladders, wheelbarrows, building materials, etc. The concept is simple: a home that’s clean, neat, and in good repair is attractive. Make sure all the rooms and all the yards look like this before you photograph or show your home. Don’t forget, your potential buyer will be viewing photos of your home in the MLS (real estate multiple listing service), which means your pictures will be very small. If there is any item that has the viewer asking ”What is that?” get rid of it! In the MLS, your home is just one of thousands, so try to make sure you do everything to have your home stand out from the others and look more attractive. Do some simple repairs. 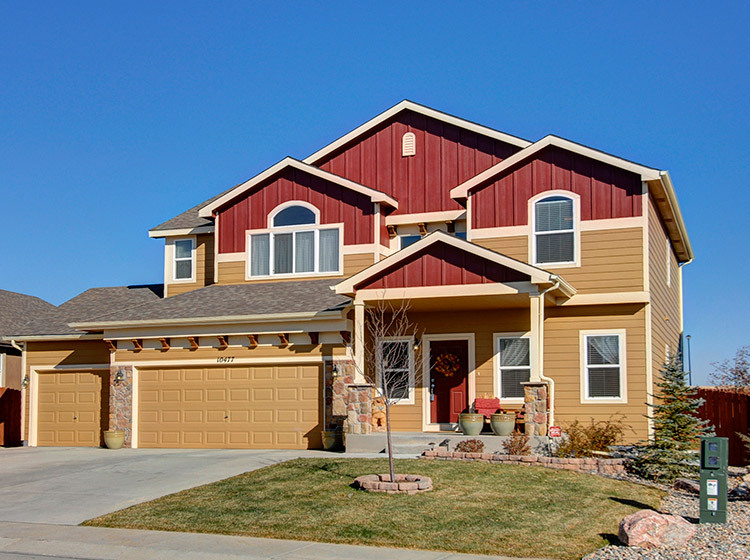 Caulk and paint can add thousands of dollars to the perceived value of your home. You want to have the future owner feel like there will be no “honey-do list” after the sale. Change out your towels. Get some colorful towels that compliment the rooms. You don’t have to spend a lot of money—towels can be very cheap. Your old towels may look just fine to your blinded eyes, but they look bad to the public. Add some fruit. In the kitchen, it’s always nice to have a bowl of fruit. It just adds some color and a notion of… living. Try putting out some bright, colorful apples, oranges and bananas, or maybe even put some colorful peppers on a cutting board. It awakens the mood of evening, lifestyle, cooking, and living. Add ambiance. Before a showing, turn ALL the lights on and have some nice music playing. The idea here is that you want to show off your home in its best possible state, and this isn’t very hard to do. Make them want to live there now. 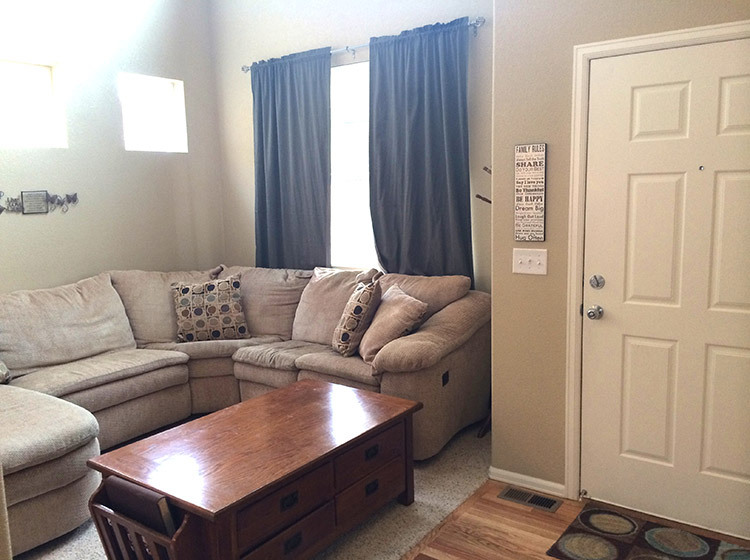 Aside from the cluttered home, the next biggest mistake I see people make is taking photos that turn out too dark. It’s not their fault though: their camera is operating in automatic mode, trying to average out everything it sees, and when it sees super-bright sunlight shining through the windows, it tries to adjust, but in doing so, it makes everything else too dark. 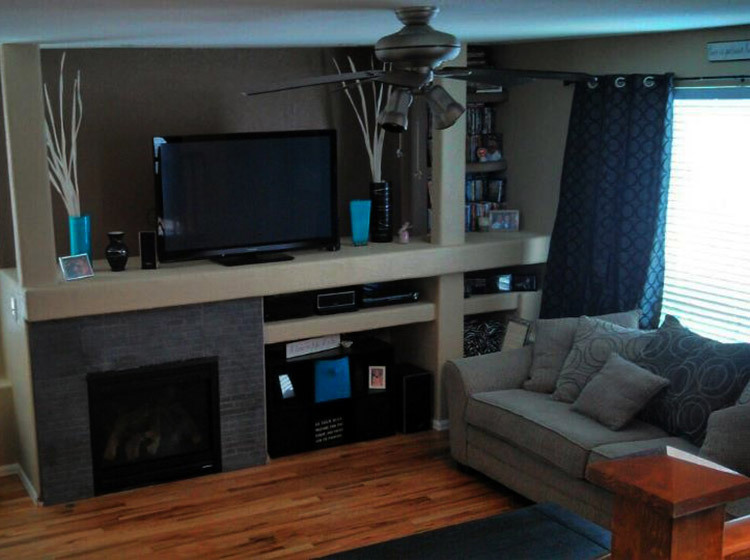 You don’t want dark photos of your home – it makes it look dingy and unattractive. Bright is attractive! Watch out—bright sunlight coming in through the windows darkens the photograph. Buyers can always look at a bright room and imagine it being dimly lit and romantic in the evening, but nobody wants to buy a dark, dingy home. So here’s a simple trick for taking better photos yourself: take your interior photos in the evening or early morning, when the sun isn’t so bright. This evens out the lighting and flatters your home’s interior. You can open your blinds either all the way or partially, to allow subdued light to come in the windows, but it won’t be overwhelming. This will make the home’s interior appear brighter. With indirect or subdued light outside, an interior looks bright and inviting. Bright, warm sunshine and a beautiful blue sky make this look like a happy home. Most people who take pictures of their home stand up straight and hold the camera at eye level, pointing downward at the room they’re shooting. This is a mistake! Pointing the camera down like that makes the vertical lines of the walls, windows and cabinets either converge or diverge (i.e. they look tilted or distorted). Two mistakes here: the vertical lines are distorted and the sunlight is too bright. This is obvious to some viewers and only a subconscious annoyance to others, But without the lines being straight, your mind thinks of it as “off”—not clean and simple. People won’t know why exactly, but when they have a comparison (looking at your house vs another house) they will be drawn to the “straight line home.” Here’s a very simple trick: just bend your knees a bit and shoot the room while holding your camera as level as you can. This will give you straight vertical lines. Shooting from a slightly lower position produces nice, straight vertical lines. Keep It Short! Don’t go on and on about your house—walk through it quickly and keep it to two or three minutes. Keep It Simple. You don’t need to show the viewers everything about the home. Just hit the high points. Your goal is to show the viewer how the floor plan flows. Keep it all Positive! Don’t make the mistake of “confessing your home’s sins” to the camera. If there are issues with the home, the buyer will find out later when they do a “live” walk-through of the home or after it is inspected. Right now, just focus on the positive aspects and don’t apologize for something that may be broken. The purpose of taking photos or video of your home is not directly to sell the home, but to get people to come view the home. That’s where they make the decision to buy. You don’t need your photos or videos to explain everything; your photos should capture interest. As an architectural photographer, there are many things I can bring to the table that most homeowners won’t be able to replicate (or even non-architectural photographers like wedding shooters): special lighting equipment, super wide lenses and a knowledge of light! I use a pro-grade strobe to bounce light off the ceiling to “wake up the room”. In most rooms, this can make a huge improvement. In others, natural light is best. I know which lighting to use, and when. That old cliche about photography—“It’s all about the light“—I’ve got to agree wholeheartedly. It’s all about light! This is interior shot was taken at night using a strobe for the right balance. Also, my lens gives a much, much wider view than a point-and-shoot camera or smartphone. A wider view can see and show more than two walls in a room. In many cases, it shows more than one room to let the viewer see how the house flows (the layout). For example, your dining room might look nice by itself, but you’re not selling a dining room—you’re selling a house. 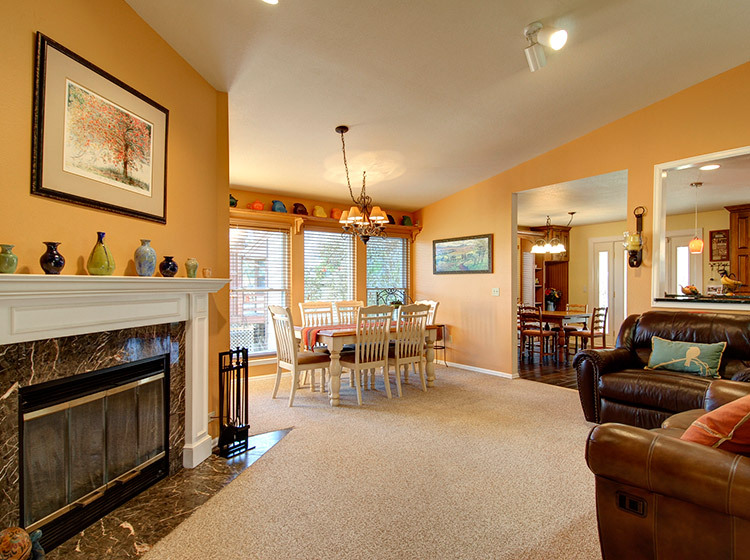 My wider lens can show not only the dining room but also the adjoining kitchen or living room. With this view, you’ve just given the viewer a bigger piece of the story. 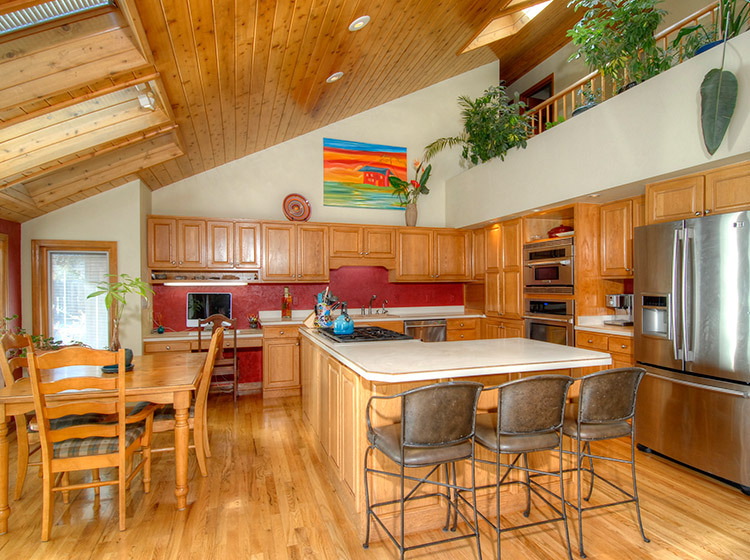 My wide-angle lens can show your buyers much more than just one room at a time. You don’t have to hire a photographer, and you can learn more of this on your own. There are even some lens kits you can get for a smartphone that can help you take some great shots if you’re so inclined, but I like to remind people that my real estate photo packages start at $99 (and there’s no learning curve)! 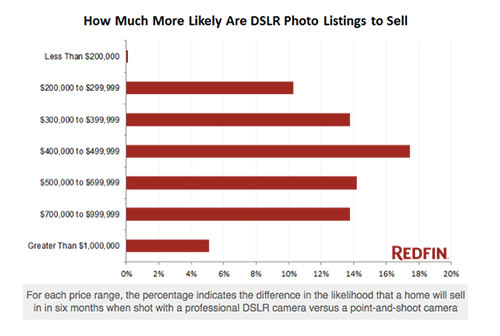 It’s a fact: you will get more money for selling your home if you use good photography. 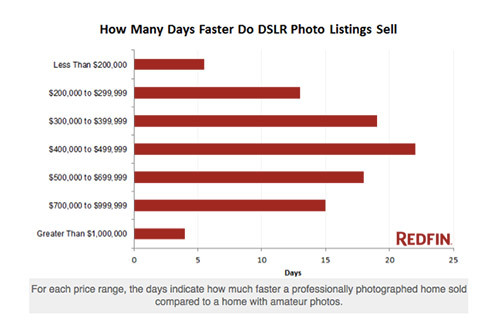 The numbers vary, but based on the asking price, your home can fetch over $10,000 more if professionally photographed! (Source: Redfin). So if you can get nice photographs taken for only $100 or so, if it raises the selling price by even $500, is it worth it? In summary: for the best chance, hire a “Thinking Realtor,” listen to their good advice, de-clutter and stage your home, then take good photos. I hope you’ve found these tips helpful! If you’re in Colorado Springs and looking for a good Realtor like I’ve mentioned, try Ray Brown, Collette Wright, or Luke Hegstrom. Good luck on your sale! If you have any questions, just call Paul! Paul Kohlman is a commercial photographer in Colorado Springs, Colorado. His photos have won numerous awards and have been featured in more than a dozen magazines all across the United States. 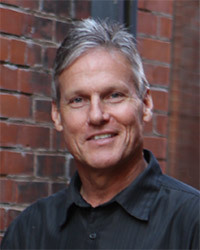 Call him at (719) 494-9144, or visit him online at www.paulkohlman.com.